Chinese character type sprinkler 300mm high, can spray figures or English (32 dot matrix two lines, 16 dot matrix four lines, 7 dot matrix eight lines), all the national standard library Chinese characters, self-compiled simple graphics, the machine does not need external air source, free warranty for one year. real time date clock, product count and schedule. full Chinese operation, delay printing, font width, font height, printing direction, automatic cleaning, photoelectric sensor settings. Clear and beautiful inkjet printing characters can be obtained on the precision transmission device. The unique dustproof, explosion-proof and waterproof design is more acceptable. Meet the high standard requirements of dustproof, explosion-proof and waterproof in special industries such as liquor and pharmacy. 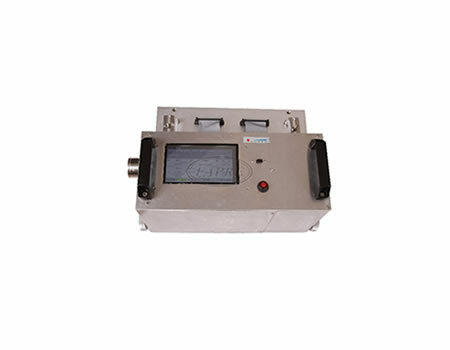 In addition, the handheld inkjet printing system which can move freely can realize the requirement of omni-directional and multi-angle inkjet printing. Different needs of different customers. The equipment is suitable for ordinary cartons, film-coated cartons, plastic packaging, woven bags, gypsum board and so on. 2.modular design, powerful, simple maintenance. 3, powerful, you can edit and store up to 100 print information and 100 user defined graphics. Installation is only 15 minutes. Chinese user interface, WYSIWYG editor is convenient and easy to use. 5, the sprinkler adopts self-protection DOD spurting code technology, its performance is stable, durable, cleaning and maintenance is simple. 6. Ink Consumption Material: In addition to meeting the needs of this machine, can also be used in a variety of foreign inkjet printers, every 1000 ml of ink Water can be sprayed up to 400,000 characters, without diluents and other consumable products, with very low cost. The process does not exceed fifteen minutes. 2. The inner circuit of the sprinkler has self-protection function, stable performance and simple maintenance. 3. Our company is responsible for installing, debugging and training the staff of the spurt code equipment sold. The training content is the use of the equipment and the equipment day. Regular maintenance, common fault judgement, equipment module replacement, disassembly and assembly. 4. As a manufacturing enterprise, our company has a perfect after-sales service system, which can solve the user's use process in the first time.